This is Hauerwas doctoral thesis and frankly, I’d say it is mostly of interest to scholars studying the development of Hauerwas’s thinking. 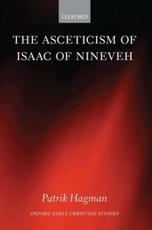 For those that fit that description, the foreword to the second edition is especially interesting. Also, it includes the only in depth treatment by Hauerwas of Bultmann, and perhaps his most sustained engagement with Thomas of Aquinas; and the most thorough reading of Barth before With the Grain of the Universe. Here Hauerwas is in fact quite critical of Barth. God only knows what Mr. TeSelle, Mr. Gustafson, Mr. Hartt, and Mr. Pope (my dissertation proposal committee) thought when they let me loose to write the dissertation, but thank God they let me bite off more than anyone should. The very idea that a dissertation would provide an account of both Aristotle and Thomas on practical reason should suggest that no one could possibly treat either adequately. That I was also taking on both Barth and Bultmann should have raised some eyebrows. But they let me do it, and I am damn glad they did. I confess that I can barely bring myself to read the book today, but I still think what I did is largely on the right track. 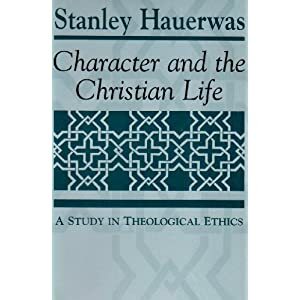 The notion of character that is developed here is rather technical in nature, and Hauerwas does flesh it out in subsequent books and articles, before more or less dropping the subject it from the mid 80’s onwards. Still one can discern already here what is Hauerwas’s anliegen, although he approaches it with a language that is still fairly ”un-Hauerwasian”.